Q: I have about $9,000 in credit card debt and a little less than that in retirement savings. I plan on working for at least 30 more years. Should I use my retirement money to pay off my credit card debt so I am financially stable enough to purchase a home? A: Pulling money out of your 401(k) or other retirement accounts should generally be viewed as a last-ditch decision. 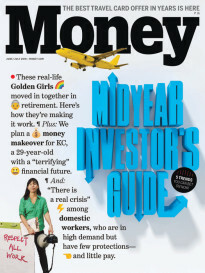 “Other options, even bankruptcy, should be considered before pulling from a 401(k), as taking from this source is hijacking your future,” said Thomas Nitzsche, a credit educator at Clearpoint Credit Counseling Solutions. Your $9,000 in credit card balances isn’t small change, but it’s also not insurmountable. And the savings you have in a retirement account won’t go as far as you think toward paying off your obligations. Upon withdrawal, you’ll have to pay regular income taxes on the money, plus a 10% early withdrawal penalty—and you’ll be depriving yourself of the returns that money would have earned over the next three decades. “You don’t get to put more in the account in future years to make up for what you borrowed or took out,” said Greg McBride, chief financial analyst at Bankrate.com. 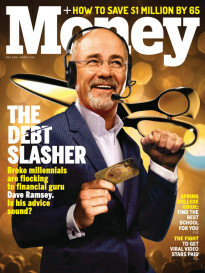 There’s also a hidden danger to this type of all-at-once debt repayment, which is that if you don’t establish good financial habits now, “you could rack up debt once more, and it will be much more difficult to rebuild those lost retirement savings,” noted Jeffrey Arevalo, a counselor at GreenPath Financial Wellness. Instead, get to work whittling down your credit card bills. “Prioritizing the payment of credit card debt is a smart move, considering that the average interest rate is around 15% these days,” said Bruce McClary, spokesman for the National Foundation for Credit Counseling. You have other options besides liquidating your retirement savings. “Those might include a balance transfer to a lower interest rate credit card or a consolidation loan,” he explained. But again, that’s only a good idea if you have the discipline not to run up more expenses on those cards after rolling over the debt. If you’ve already fallen behind and can’t keep up on your bills, McClary said, you can seek help from a nonprofit credit counseling organization without having to put your retirement funds at risk. While your ultimate goal might be home ownership, consider that more of a long-term plan. “Before you purchase a home, you should pay off any high-interest credit card debt and have sufficient savings to cover three to six months of your anticipated new living expenses, as well as any required down payment,” Nitzsche said. “Many consumers underestimate the true cost of homeownership,” he added. Although mortgage reforms make it harder for people to qualify for home loans they can’t afford, it’s still all too easy to get in over your head. In parts of the country where the cost of housing has soared, the old rule about housing expenses coming in at 30% or less of your income isn’t a realistic baseline anymore. What’s more, people routinely think of “housing costs” as their monthly mortgage payment and overlook a host of other bills you’ll face as a home owner. “Keep in mind you will have increased utility expenses, potential association fees, property taxes, different travel or commute costs, and you will probably need a budgeted amount for home repairs and even general upkeep,” Arevalo noted. “If you have $9,000 in credit card debt and your only option is to raid the retirement account, you’re not financially stable enough to buy a house,” McBride concluded.